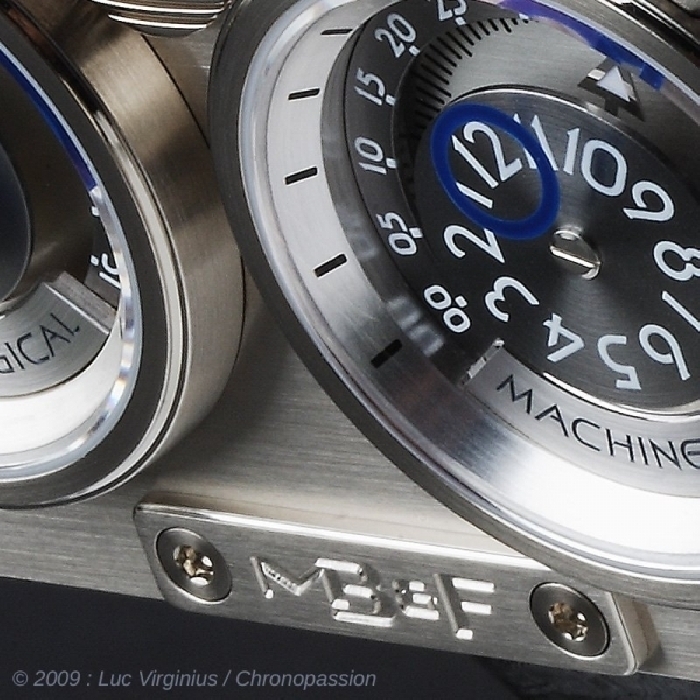 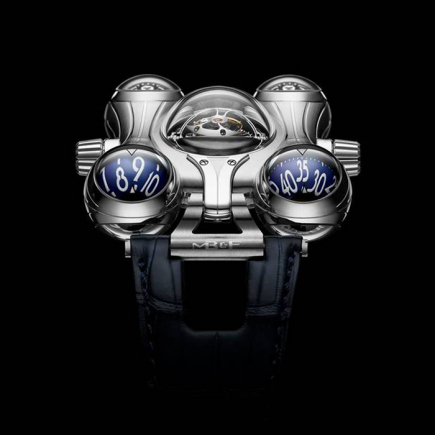 MB&F | 74'000 € Tax inc.
By respecting tradition without being shackled by it, Horological Machine No2 (HM2) is a holistically conceived and engineered three-dimensional timekeeping machine for the wrist. 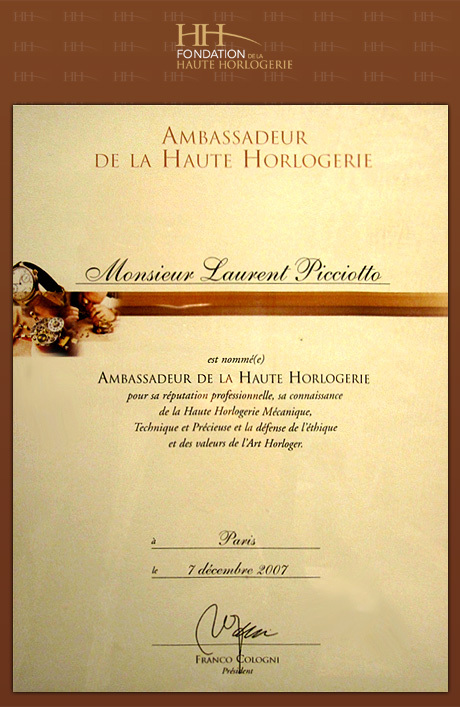 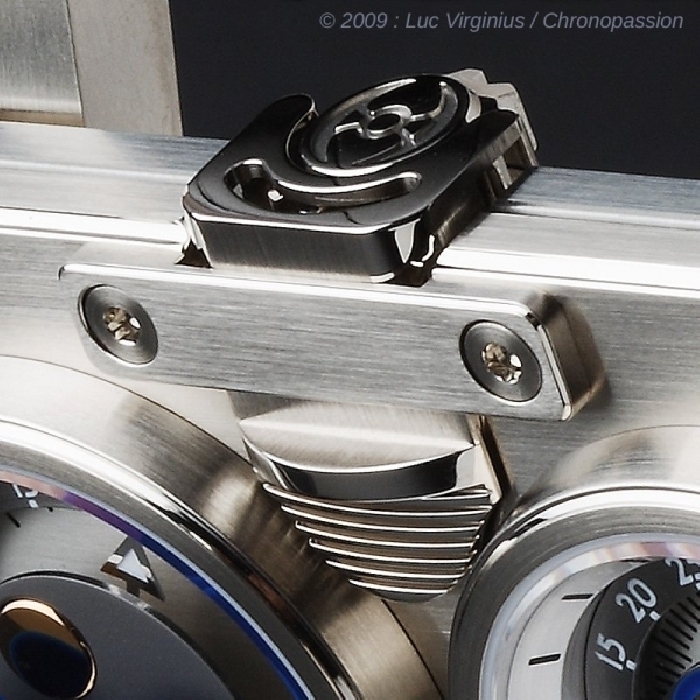 The functions and indications were specifically conceived to tailor to the strengths of HM2's chief watchmaker, Jean-Marc Wiederrecht. 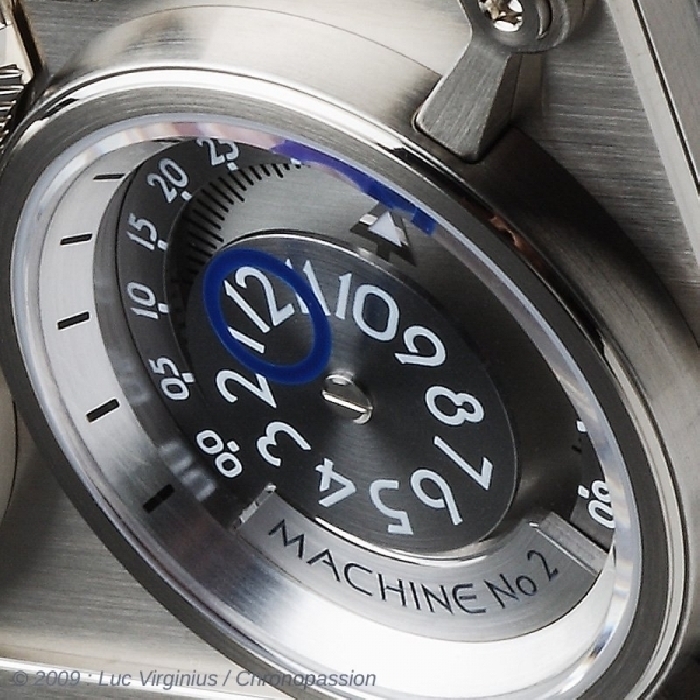 HM2 is the world's first mechanical movement offering: Instantaneous Jump Hour, Concentric Retrograde Minutes, Retrograde Date, Bi-Hemisphere Moon Phase and Automatic Winding. 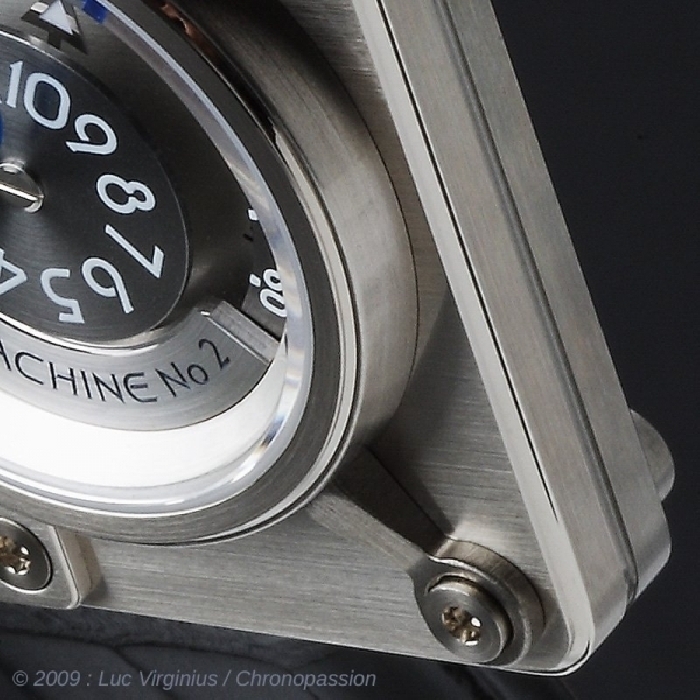 With over 450 components making up its case and movement HM2 is an incredible sophisticated machine; however, its complexity has been engineered for simple and trouble free functionality. 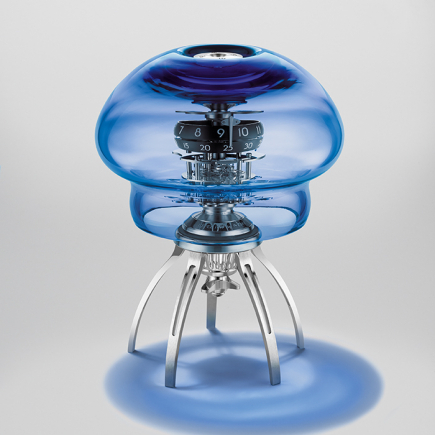 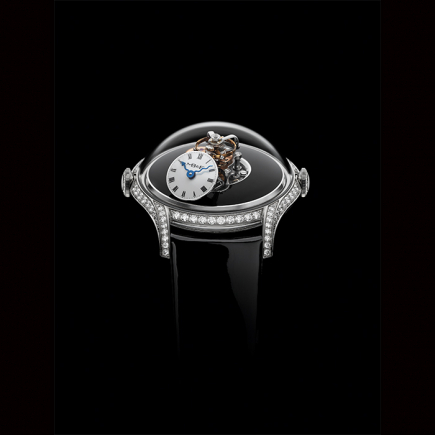 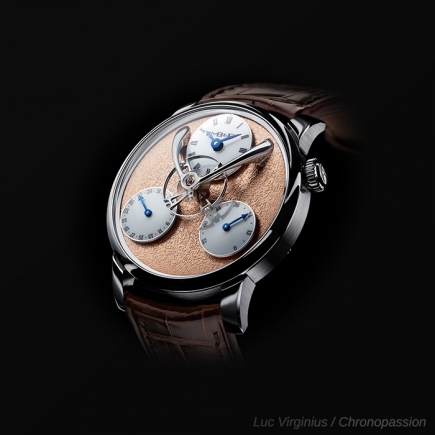 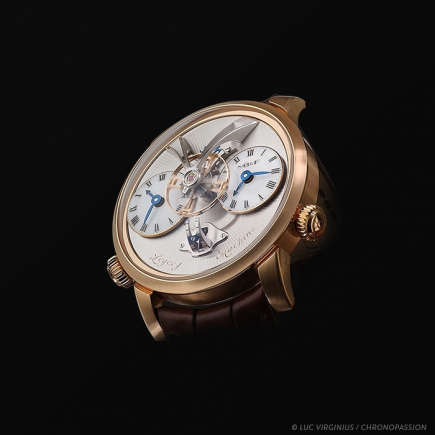 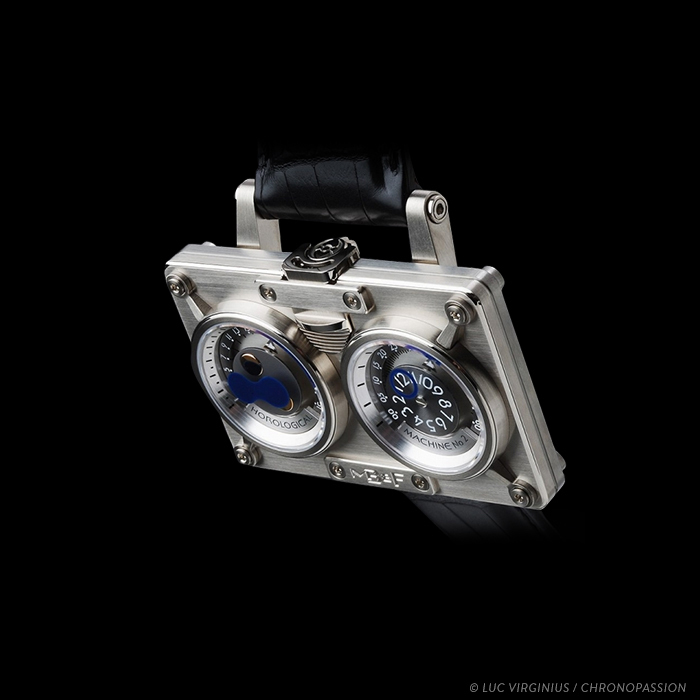 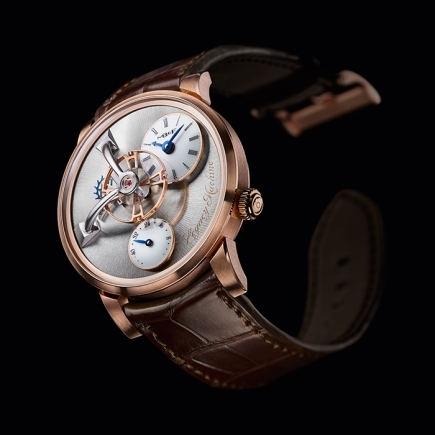 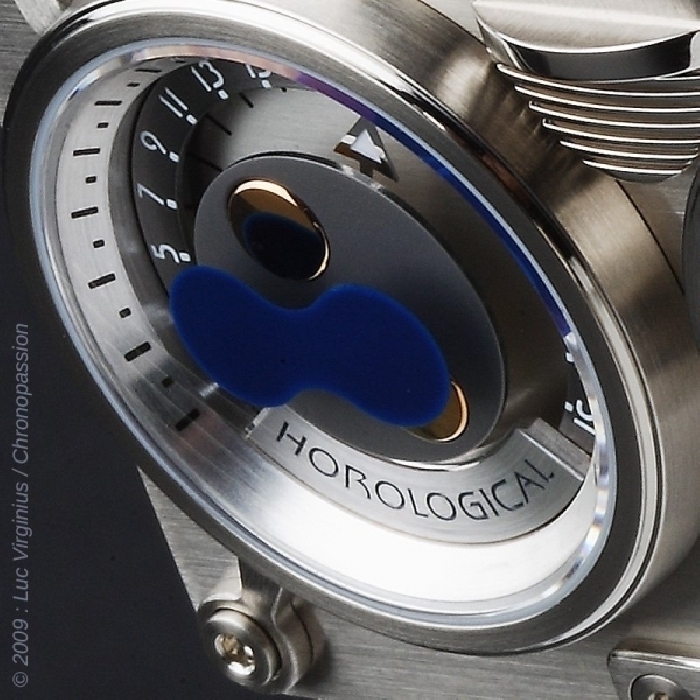 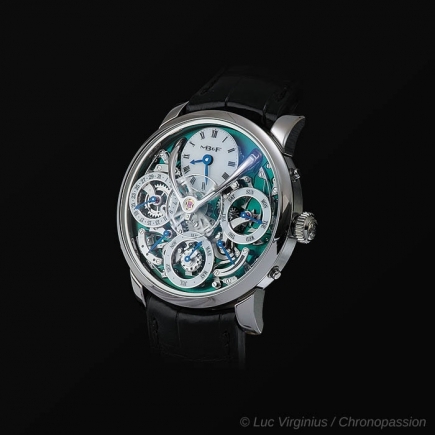 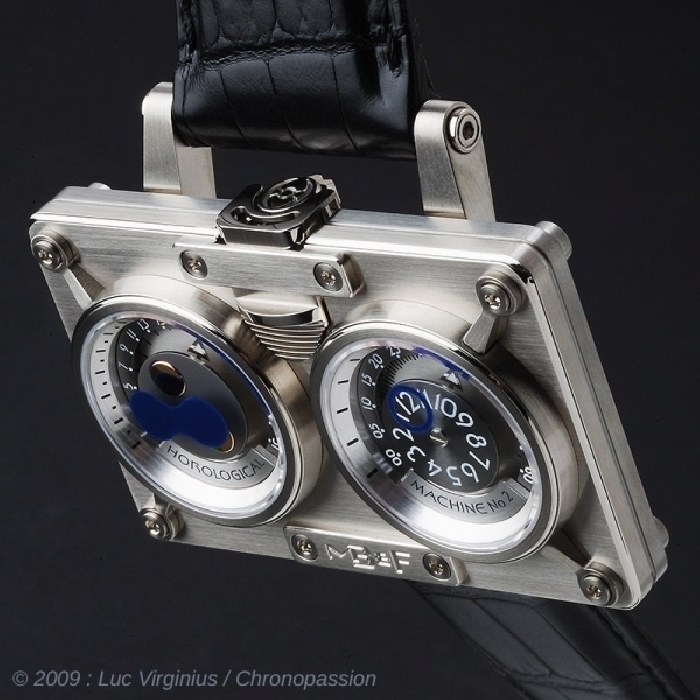 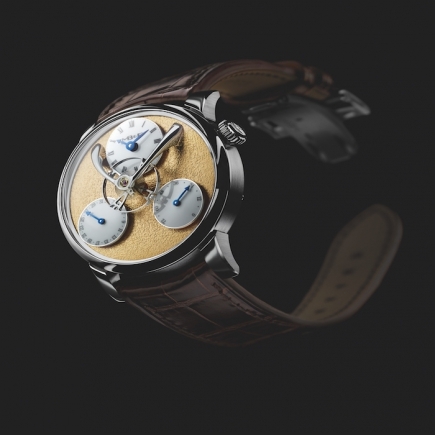 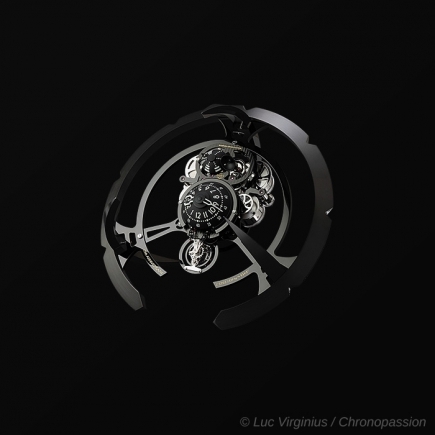 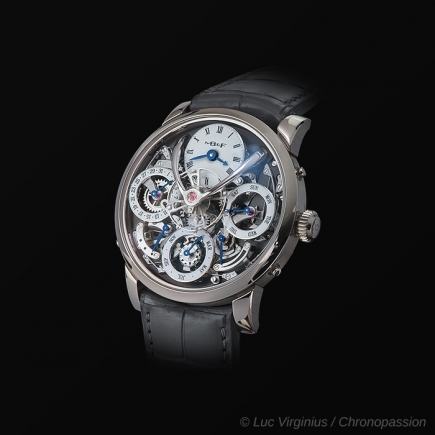 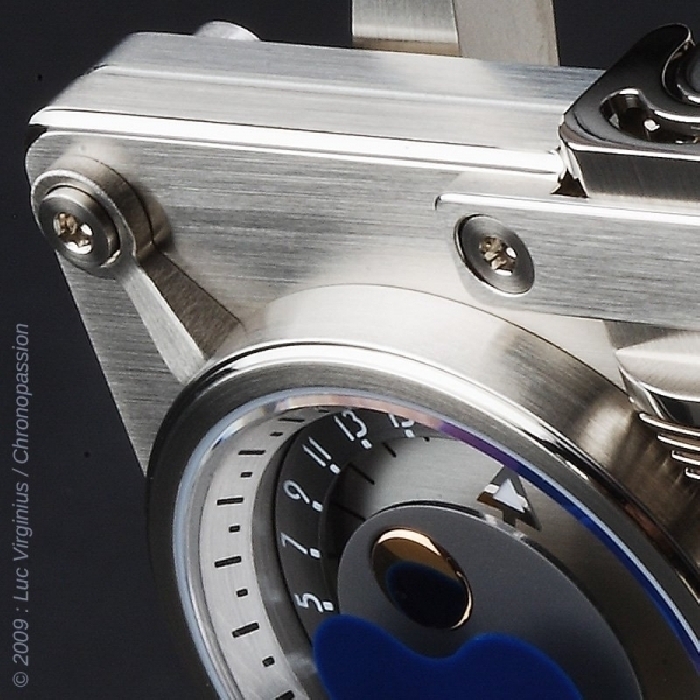 The movement features an extremely energy efficient Jump Hour/Retrograde mechanism developed by Jean-Marc Wiederrecht. 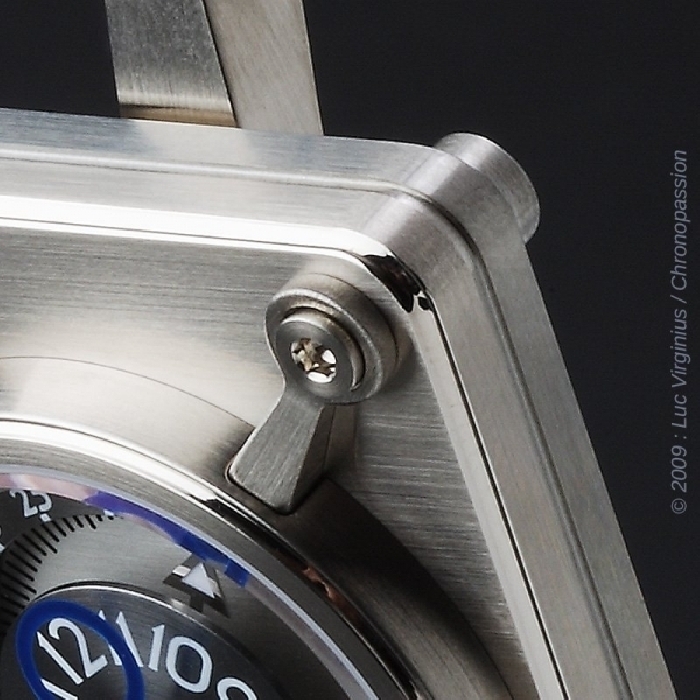 The realisation of HM2’s complex case shape - with its architectural volume, bold flying buttresses, bolted portholes and sliding crown guard - was only made possible by using an innovative modular approach: a method inspired by the Meccano sets of Maximilian Büsser's childhood.